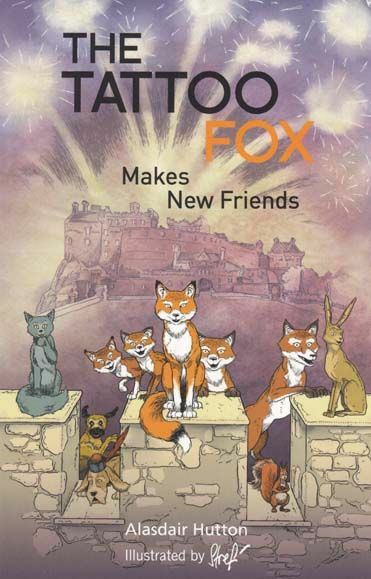 After discovering Edinburgh's Military Tattoo and seeting up her home by Edinburgh Castle, the Tattoo Fox returns to her adventures around Edinburgh. Meeting and making lots of new friends along the way (including the Queen! ), the Tattoo Fox invites them all to her party.